CANTON, Mass. 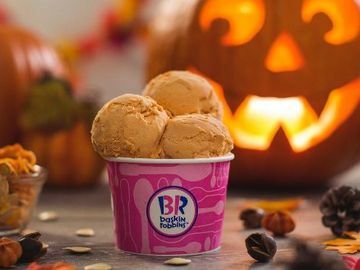 (October 26, 2015) – Baskin-Robbins, the world’s largest chain of ice cream specialty shops, is offering ice cream lovers nationwide a “spooktacular” deal on Saturday, October 31st. 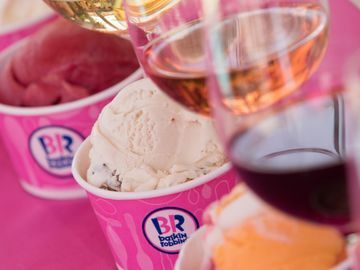 Baskin-Robbins is inviting guests to enter - if they dare - into participating Baskin-Robbins shops nationwide to enjoy any scoop of frightfully delicious ice cream for $1.31 as part of its “Celebrate 31” promotion. 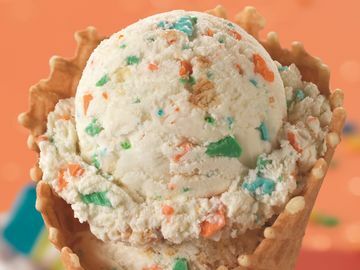 * Guests can enjoy this special “Celebrate 31” deal on any of their favorite Baskin-Robbins ice cream flavors, including classics like Pralines ‘n Cream, Very Berry Strawberry, Rocky Road, Mint Chocolate Chip and World Class® Chocolate, and seasonal favorites like Pumpkin Pie and Quarterback Crunch®. Additionally, Baskin-Robbins’ new Piñata Pumpkin Patch Cake and Halloween OREO® Cookie Cake are sure to add a spooky spin on any Halloween party. 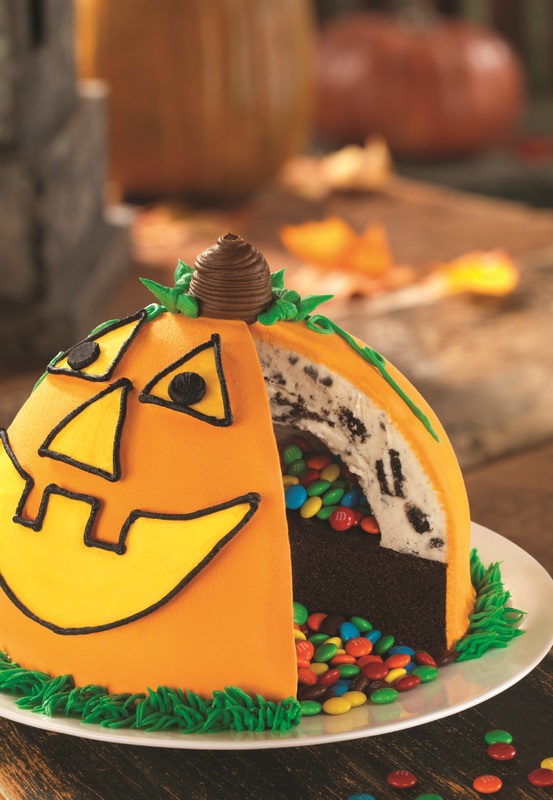 Perfect for candy lovers, Baskin-Robbins’ Piñata Pumpkin Patch Cake is dressed up like a jack-o-lantern and features a candy-filled center. When guests cut into their cake they’ll be surprised with a delicious cascade of candy. 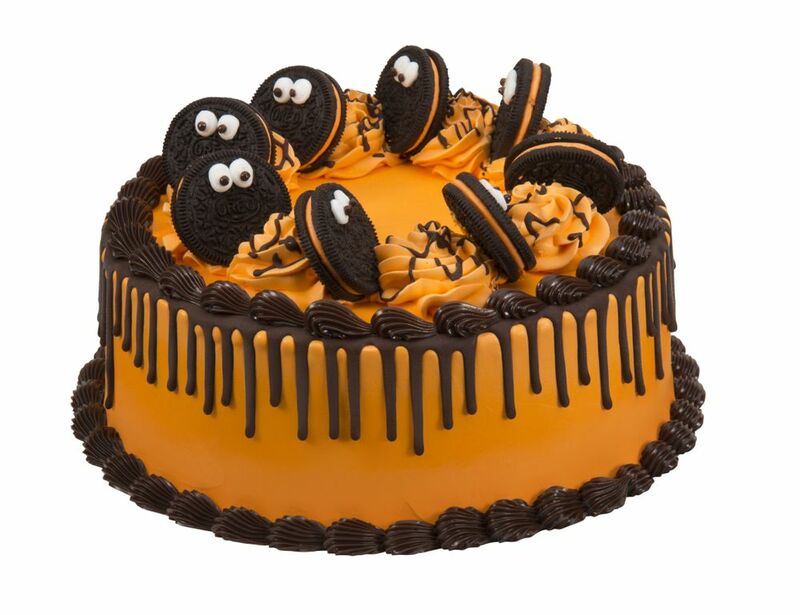 The Halloween OREO® Cookie Cake is decorated in orange and topped with festive Halloween OREO® cookies. Baskin-Robbins’ ice cream cakes can be customized with any ice cream flavor and can be ordered in-store or online at www.baskinrobbins.com/onlineordering. Finally, beginning today and ending on Halloween, Baskin-Robbins will post a picture of its new Piñata Pumpkin Patch Cake on Facebook and Twitter and invite guests to guess how many candy pieces are inside the cake. Guests can tweet their guess to @BaskinRobbins with the hashtag #BRCakePromotion or guess on Facebook by commenting on the promotion post to enter. 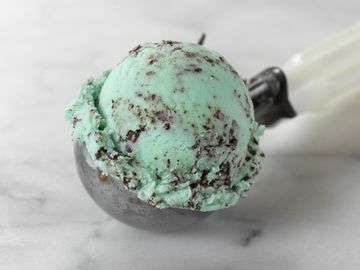 The fan who guesses the correct number or has the closest guess will receive free ice cream cakes for a year, fulfilled as $500 in Baskin-Robbins gift cards. 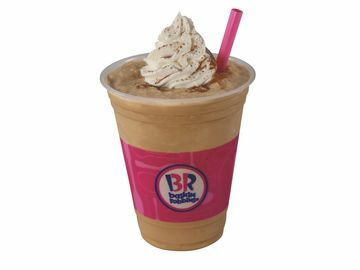 Additionally, ten runners up will receive $31 Baskin-Robbins gift cards. No purchase necessary, must be 18+ to enter. Void where prohibited. For additional terms and conditions related to Baskin-Robbins’ Piñata Pumpkin Patch Cake Promotion, visit: http://bit.ly/1Nvym5Z.